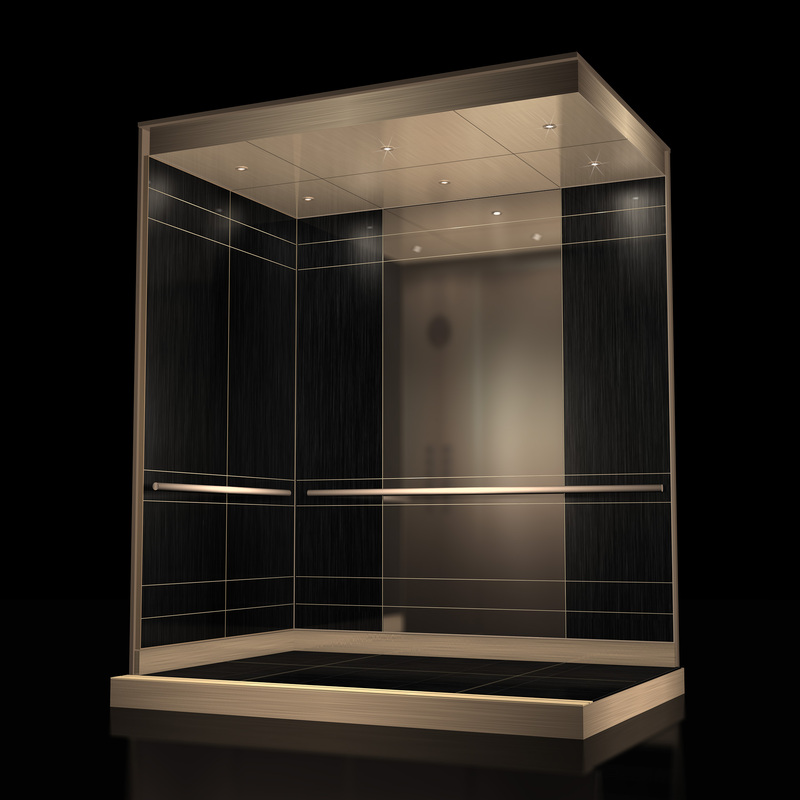 The EID Design team worked closely with local Hilton management, Remington Hotels and Columbia Construction Company to update the interior finishes of all guest elevator cabs. Using Bendheim Titanium® Colored Etched Glass in “Bronze” and Chiliwich Fabric with a possible alternate material of Rimex T22 Black Onyx Hairline Stainless Steel, the team created a timeless design with durable finishes able to withstand typical hotel traffic patterns. Reach out to an EID Team member for assistance with your next project. 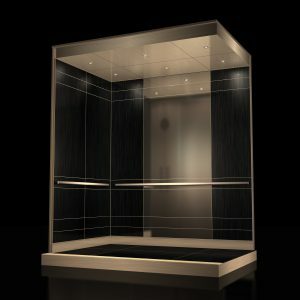 Explore all the Elevator Interior Design Cab Systems here and learn how EID can assist in making a bold statement with your next elevator project.